Meeting between the Minister of Agriculture and Forestry of Bhutan and SAF Founder. Lyonpo Sangay Ngedup, SAF Bhutan Chairman; H.E. 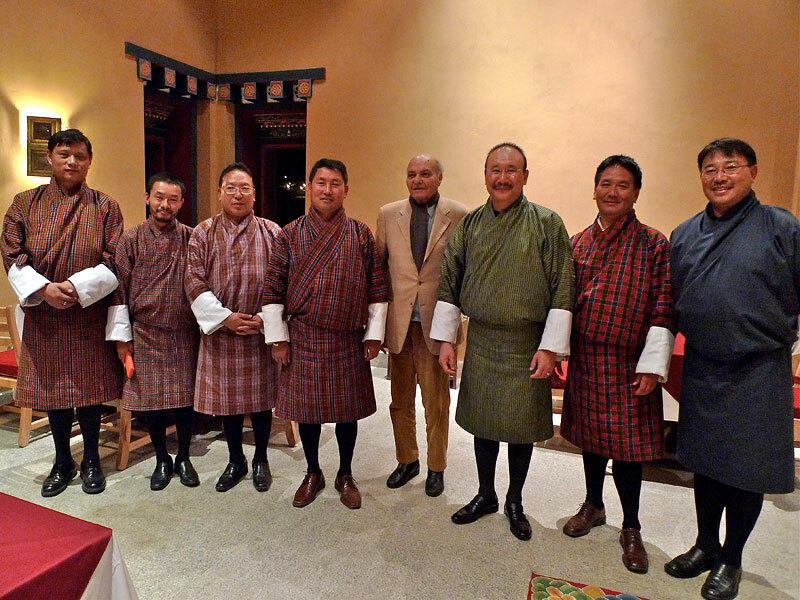 Madanjeet Singh UNESCO Goodwill Ambassador SAF Founder; Lyonpo Pema, Jaymtsho Agriculture Minister;Mr Sherub Gyeltshen, Agriculture Secretary, Mr Karma Dukpa, Forest Director; Mr Nawang Norbu, Director Ugen Wangchuk Institute for Conservation and Environment.